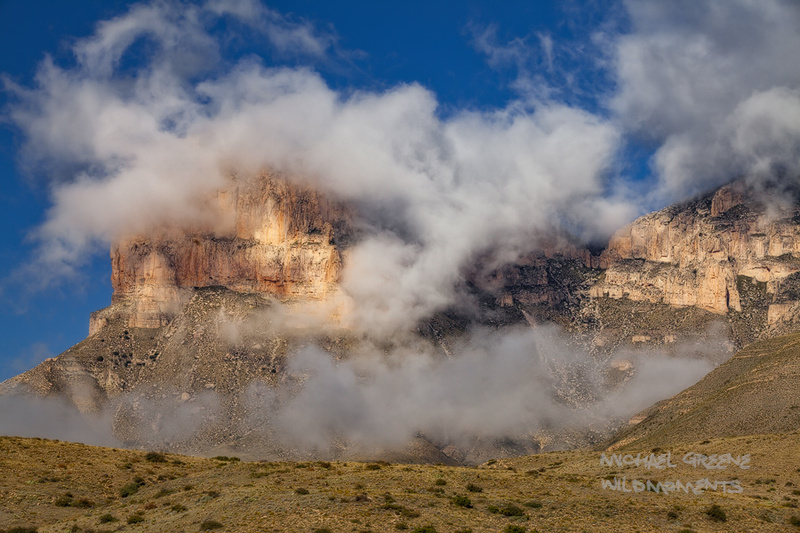 A rare inversion covered most of the profile of the Guadalupe Mountains (West Texas) western escarpment in fog during a bright and sunny blue bird day. Captured during a mid-morning autumn visit. Photo © copyright by Michael Greene.